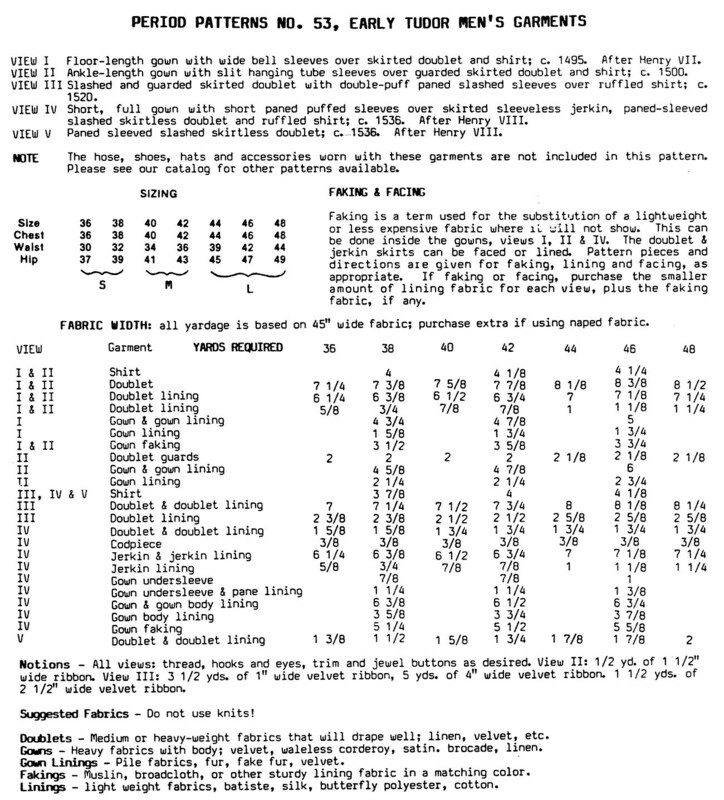 Pattern condition: Uncut, factory folded, complete with instructions with historical notes and illustrations. View I - Floor-length gown with wide bell sleeves over skirted doublet and shirt; c. 1495. After Henry VII. View II - Ankle-length gown with slit hanging tube sleeves over guarded skirted doublet and shirt; c. 1500. View III - Slashed and guarded skirted doublet with double-puff paned slashed sleeves over ruffled shirt; c. 1520. View IV - Short, full gown with short paned puffed sleeves over skirted sleeveless jerkin, paned-sleeved slashed skirtless doublet and ruffled shirt; c. 1536. After Henry VIII. 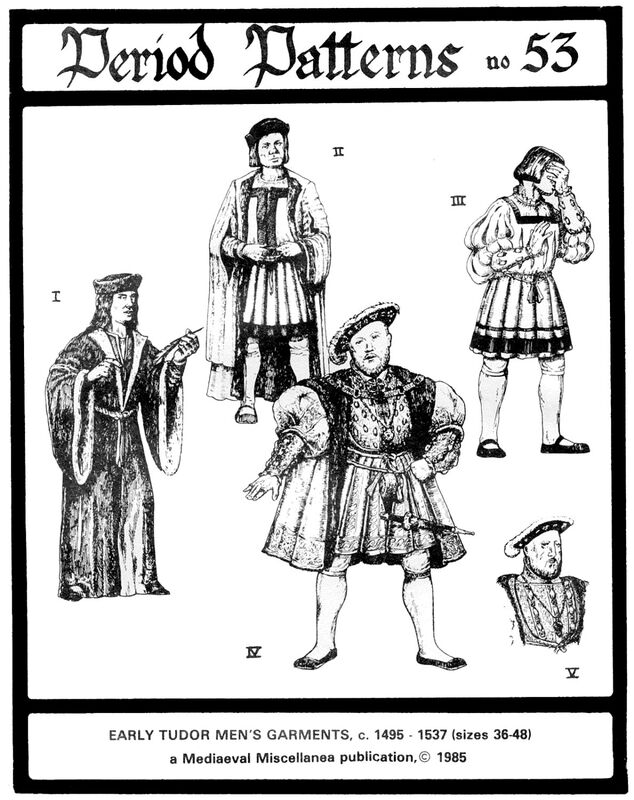 Paned sleeved slashed skirtless doublet; c. 1536. After Henry VIII. **The hose, shoes, hats and accessories worn with these garments are not included in this pattern.